I had a really good nights sleep last night, not waking until 9:45am, and it was quite a good morning out. 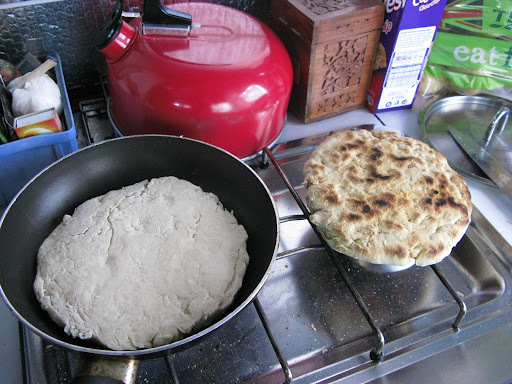 After my shower I decided to bake enough soda bread for the next couple of days, and spent the morning listening to music and making the bread. 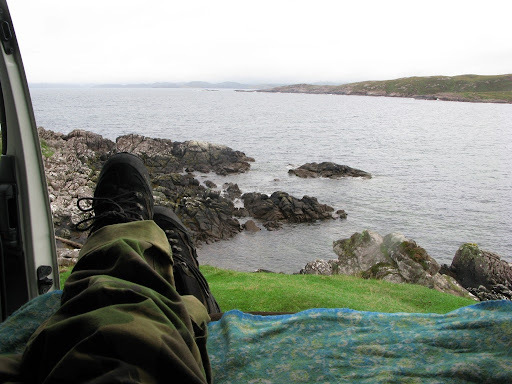 Once everything was ready and stored away for the journey, I had a cuppa and relaxed a while, looking out at the view..
Getting back on the road I headed for Lochinver, before taking the B869 out to Stoer and beyond to the lighthouse at Stoer head. The weather got more overcast as the day went on, and by the time I reached the lighthouse it was almost raining. 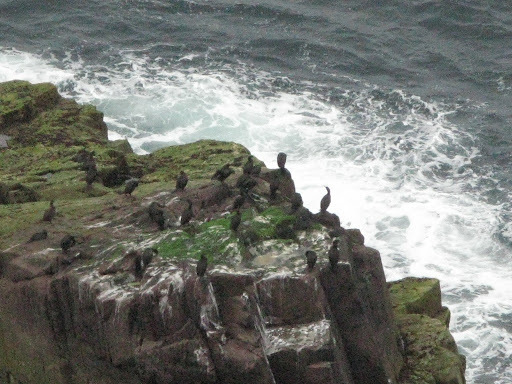 I still managed to climb down onto the rocks to scout out a fishing spot, but soon had to retreat, as the rain began, beginning to make the rocks wet and slippery. 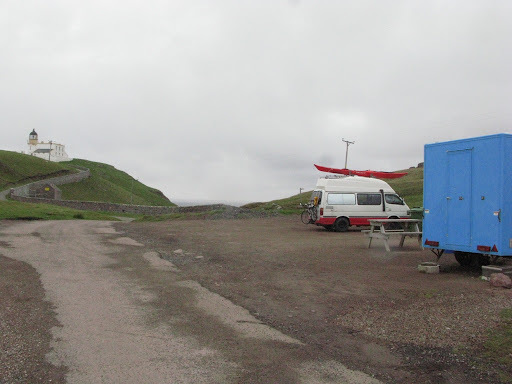 I made it back up to the van, and watched as people returned from their walks to The Old Man of Stoer, and had a cup of tea at the tea hut. Eventually I was the only vehicle left in the car park..
Its not been a difficult decision to decide I'll make the walk to The Old Man tomorrow morning, so I've been relaxing, having dinner, and spent the evening watching a film about the Isle of Man TT races called, 'Closer to the Edge' – pretty good, its mainly followed the exploits of Guy Martin, and was released in 2011 – I'll have to check the net to see what became of him. Anyway good night for now! If you've any comments or questions please share them below.